Reorganize Today, LLC: Last minute decorating idea. A dear friend gave the sign to me and it makes one think if there is another way to do something less expensively. 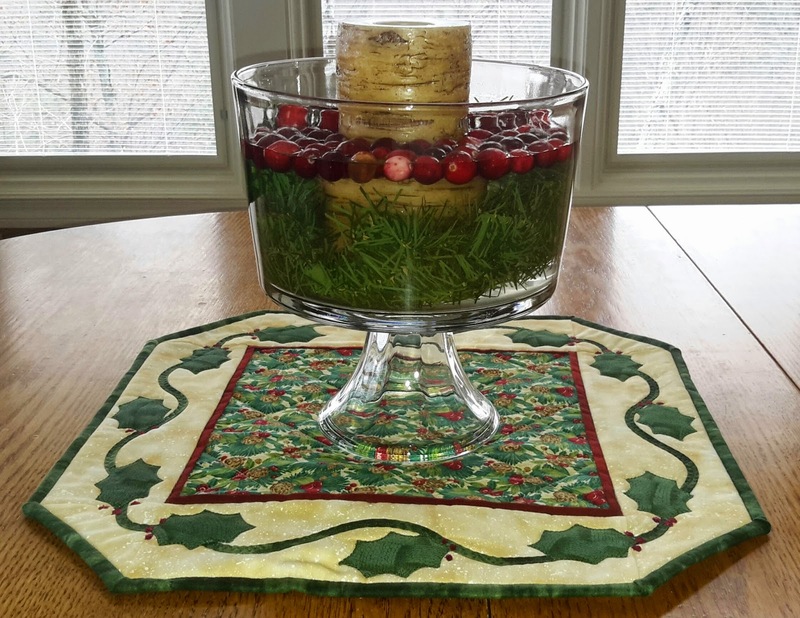 I recently needed to create a table centerpiece and could not get to the store to get floating candles. It started me thinking about how to make it do with what I had. This table decoration was the result. Fake greenery that had graced our mantle one too many years! 1 cup of fresh cranberries which I bought and will use the remainder for some good cranberry bread.